For the world’s largest newsprint maker, there simply are not enough truck drivers to move its goods. 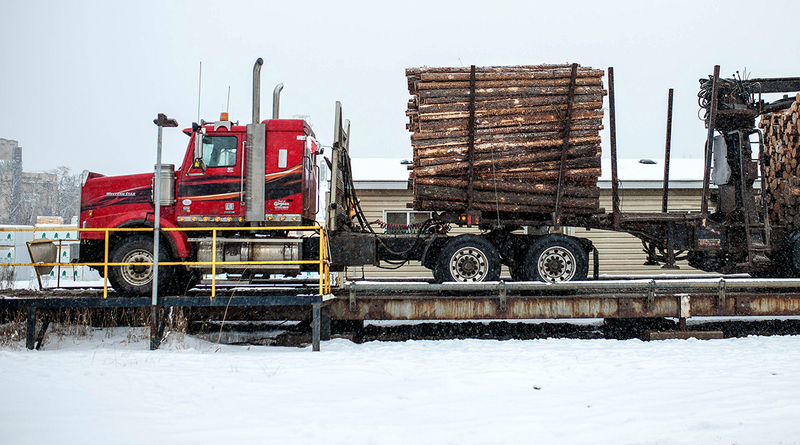 A dearth of truckers in Canada is hindering shipments from Resolute Forest Products Inc.’s sawmills to its paper mills, outgoing CEO Richard Garneau said Feb. 2 on an earnings conference call. The Montreal-based company slowed down production in December after the shortage and harsh winter conditions led to a lack of woodchips at its mills in Quebec. RELATED: Analysis - Is regulation driving the driver shortage? The company’s stock plunged as much as 33% in Toronto, the most since trading began in 2010. The paper maker reported earnings per share in the fourth quarter that missed the lowest analyst estimate. The company is now using oversized trailers for its loads and has introduced special hiring and training programs to attract workers, Garneau said. Resolute’s freight costs rose in 2017 because of an increase in rates, shipping distances and issues related to the truck-driver shortage, the company said in a statement. Canada will have a shortfall of 34,000 drivers by 2024 and that could rise to as many as 48,000 as aging drivers retire and the industry struggles to attract younger workers, according to a 2016 report from the Canadian Trucking Alliance.